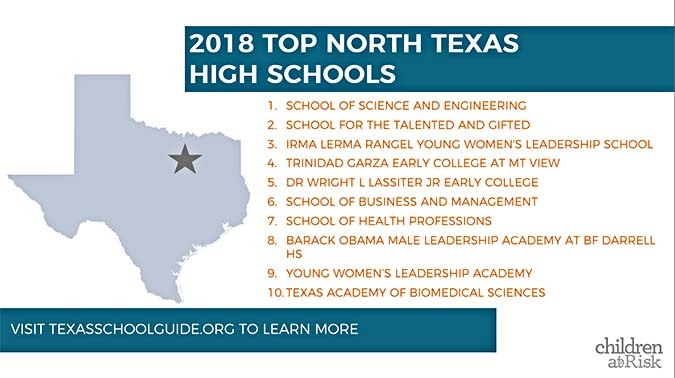 May 17, 2018 – The School of Science and Engineering was ranked #1 in North Texas. BIG thank you to our students & teachers! 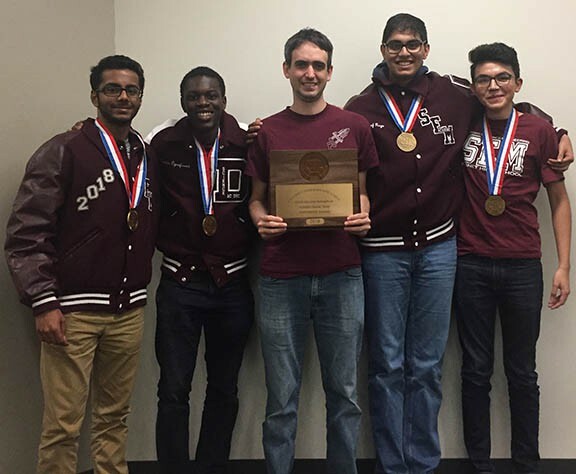 SEM received the Gold Medal designation for demonstrating the highest college readiness, placing it among the top in Texas by U.S. News & World Report in 2018. 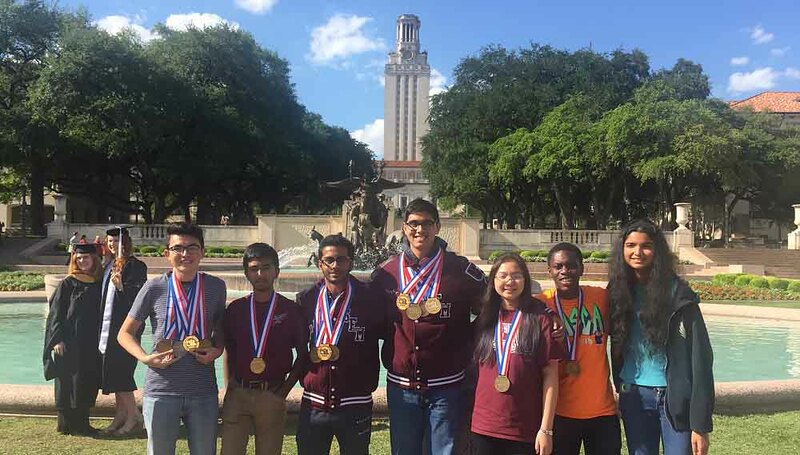 SEM had seven students compete at the Academic State UIL meet on May 4th and 5th . Students competed in Number Sense, Calculator, Math and Spelling. These are very competitive events – these students have spent years preparing for this competition. If you see these students, please congratulate them on their accomplishments. Saumya Rawat won another highly competitive $3,300 grant from the National Center for Women and Information Technology (NCWIT) to host free app development programs this summer. 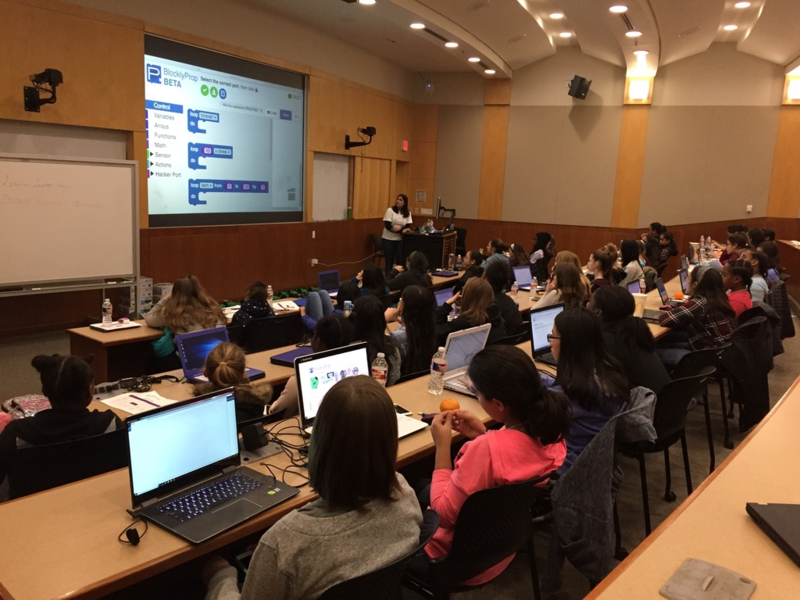 Recently she hosted 2 day weekend workshop sessions at UTD for middle school girls from underrepresented areas. 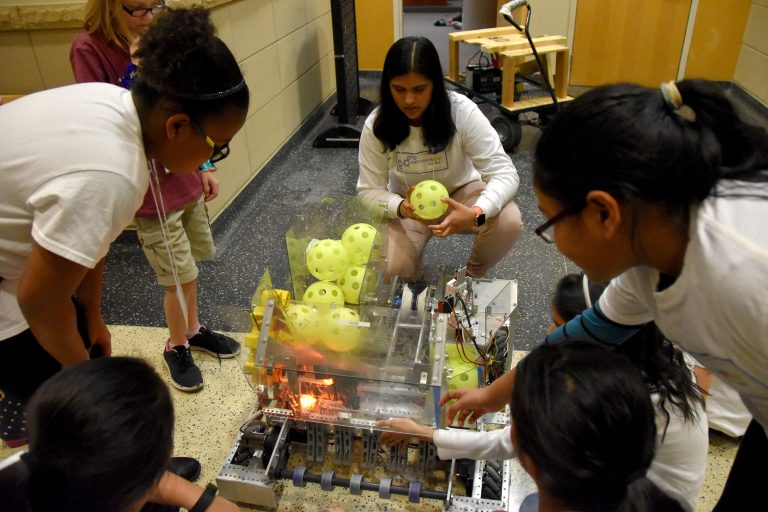 More than 100 Girls from all over the DFW areas learned robotics using Scribblers, met student and professional mentors, explored STEM career options, and interacted with the FRC Robobusters Townview Robotics Team robots. IT Empowerment for Her’s January and February robotics programs were featured on the UT Dallas Computer Science page: UT Dallas CS and IT Empowerment for Her Program Promote STEM Education for Middle School Girls Through Weekend Workshops – Department of Computer Science – The University of Texas at Dallas – Erik Jonsson School of Engineering and Computer Science. Additionally, Saumya was also featured on the Hub: Student’s organization shares love of STEM with middle-school girls | The Hub. Please see the IT Empowerment for Her Opportunities page for past program photos and check back soon for updated upcoming program registrations: http://empowerment4her.org/opportunities.html. The app development summer programs will be held on June 27-29 and July 9-11 and are for incoming 6th-9th grade girls; please subscribe to receive an email when registration opens: https://goo.gl/forms/cI4bB2KitX8hGQt92. If any high school girls would like to volunteer, please register at the link: https://goo.gl/forms/0bte0iOCUCCRisnW2. The School of Science and Engineering is pleased to announce that we are expanding! This year, we have accepted 175 freshmen, and we anticipate continuing this pattern. We have been slowly expanding our student body over the past few years and we are excited about being able to move forward with expansion on a larger scale. This is uncharted – mostly exciting – territory. SEM will have more resources, more flexibility, and be able to serve more Dallas students. However, change always carries risk. 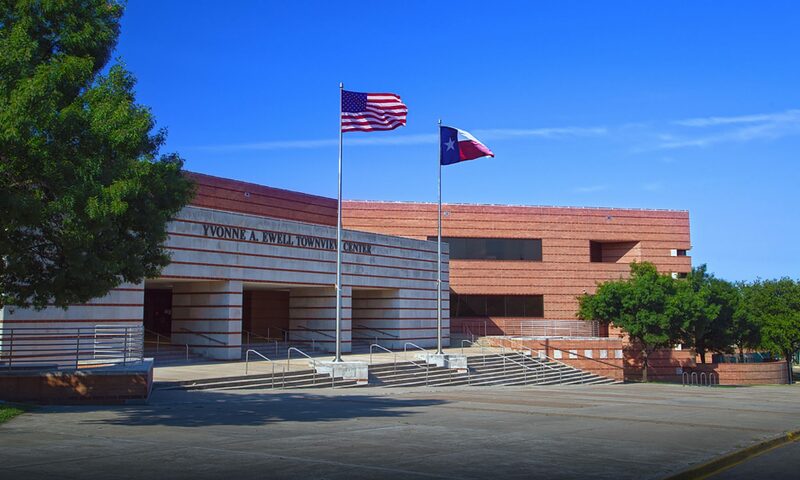 We need help from all members of the community – students, parents, teachers, and administrators – to brainstorm ideas and concerns and to implement them in ways that will ensure that we maintain our unique culture and high standards. How many new students were accepted to SEM? SEM typically accepts 100-115 new freshmen each year; this year 175 were accepted. In no way were admissions standards relaxed; the additional students met the exact same qualifications as students in years past. We typically have a large waitlist full of qualified students we do not have room to accept; this year that waitlist is smaller, but there are still more qualified applicants than spaces. Why were parents and the community not informed of this decision earlier? 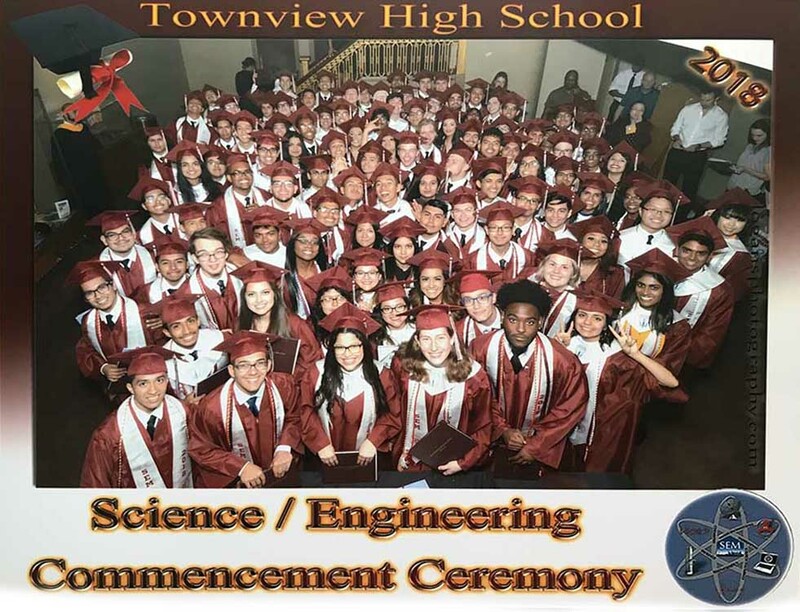 The concept of expanding SEM has been under consideration for a few years; however, the decision to expand with this particular class was made at the district level a few days before admission letters were mailed. What are the benefits of expanding SEM? Many! First and foremost, expanding SEM helps ensure that all Dallas ISD students who want the most rigorous STEM education in the country and who have the skills needed to pursue it at an accelerated rate will have the opportunity to do so. Furthermore, expanding SEM allows us to offer a wider variety of robust STEM pathways, especially in engineering and computer science. The district has increased our teacher allotment in proportion to the increase in enrollment. We do not project any change the student/teacher ratio. No! We have launched a nation-wide search to find teachers with the skills, attitude, and experience to work with extremely high-performing students in an intensive academic atmosphere. We are excited about the chance to welcome in some new people with new ideas and fresh eyes. Will we be able to maintain all the programs and courses that makes SEM unique! Absolutely! We will continue to offer the same catalog of AP and PLTW courses; furthermore, as we expand, we anticipate the increased resources will allow us to offer even more robust choices for our students. Will college access suffer with a larger graduating class? No! It is a myth that highly selective colleges have “caps” on the number of students they accept: for example, last year SEM had 5 accepted by MIT, 3 by Harvard, and 3 by Stanford. Over 20 were accepted by UT and another 20 by TAMU. Good schools know SEM and compete for SEM’s students. They will be glad to have more of us to go around! 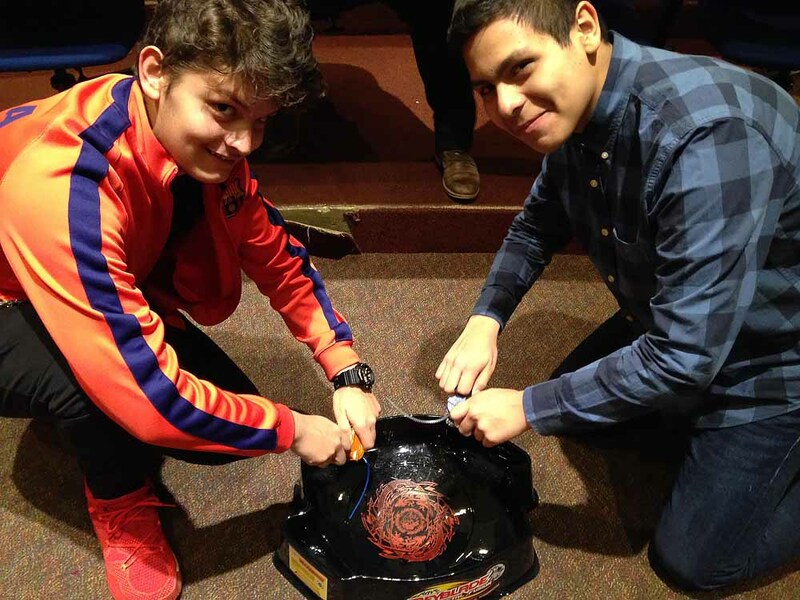 How will this impact academic competitions? It will make us more competitive. Because we are a selective magnet, we already compete as a 6A school, facing off against schools with populations of 2200 or more—and hundreds of faculty available to coach or sponsor. 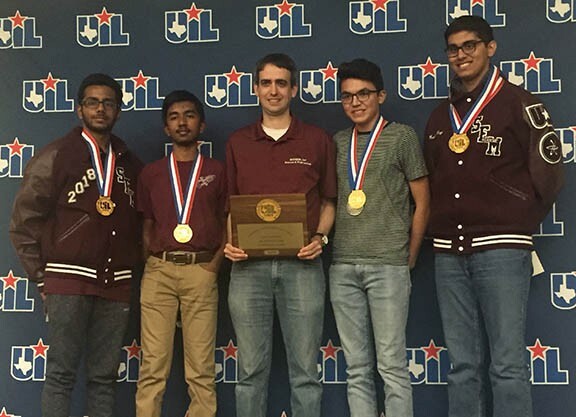 More potential competitors will expand the number of competitive teams we can field in everything from debate to Ac-Dec to UIL. More faculty will be able to support a wider variety of activities. Overall, is this a good change or a bad change? We think it is a very good change. SEM has been at around 400 students for decades. In that time, we have developed a program that is nearly unique among high-poverty schools: our average student performs at above the 90% on every standard assessment despite the extremely high rate of poverty within our student body. We are proud of what we have here, but we want to grow it: we want to extend the opportunity we offer to more students, and we want to push the students we have even further, with more advanced electives in STEM fields, more inspiring faculty, more resources. Right now, SEM is a hidden gem—but we are excited about the possibility of becoming more widely recognized as a national leader of STEM education in urban and high-poverty environments.